How often do you stumble across poetry in the course of your day, and how are those poems presented? Are they spoken or written? Are they stationed on the bus or subway, tacked onto your office cubicle, or printed on your pillowcase? A recent whitepaper about poetry in the Netherlands, jointly produced by the Read Foundation, the Dutch Foundation for Literature, and the University of Utrecht, found that ninety-seven percent of Dutch adults encounter poems in one form or another. 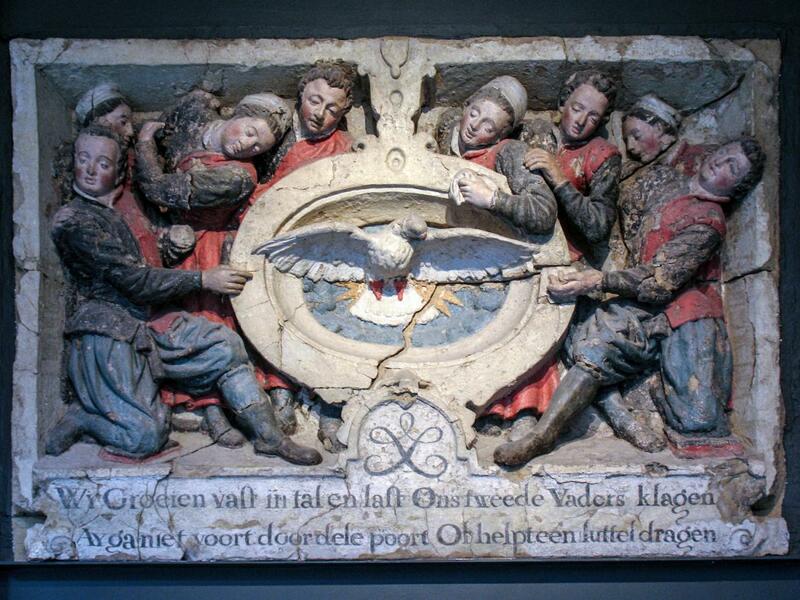 Poems are painted on the sides of buildings, or recited at weddings, funerals, and on Sinterklaas Eve. The study was conducted by poet and academic Kila van der Starre. Since 2014, she has been pursuing a PhD at the University of Utrecht about interactions with poetry off the printed page. This particular study surveyed around 1,000 people in order to find out how they define poetry and where they come into contact with it. As a teenager and as a student I already was very interested in poetry. I wrote poems, performed at poetry slams, bought poetry books and poetry CDs, visited poetry festivals and watched YouTube videos of international performance poetry. My friends and I gave each other poetry pillowcases for our birthdays, I came across poetry in public areas and I listened to poems at funerals and weddings. But of all these types of poetry there was only one that was ever discussed during my university courses – I was studying Comparative Literature in Utrecht at the time – namely poetry books. It was easy for me to keep those two worlds separated: the way I loved and engaged with poetry in my spare time and the way I was taught to academically approach poetry. Van der Starre’s research interests are informed by her own creative writing practice. As a part of the performance poetry duo Kila&Babsie, Kila van der Starre has been writing and performing "stereo poetry" for over a decade. This particular form of performance uses alternating and sometimes simultaneous voicing. The pair’s first publication, called Stereo, is a score of their performance work. When given a list of popular forms of poetry and asked to mark all that are familiar, the largest percentage of respondents in her study—ninety percent—indicated they know the tradition of Sinterklaas (St. Nicholas) poems. People outside the Netherlands are most familiar with Sinterklaas celebrations because of the racist depictions of Sinterklaas’s helper, Zwarte Piet, but there are less-famous elements of the holiday that are well-worth preserving. During this December 5th observance, adults trade gifts secret-Santa-style. The gifts are low-budget, often hidden in a handmade object, and accompanied by a personalized poem. The poem, written by the gift-giver, should be playful—funny even—and recap recent events from the recipient’s life. I heard a story about a woman whose husband had picked her name out of the hat. The woman had had a lot of dental work in the previous year, so the husband crafted a full set of giant dentures from papier-maché, about the size of an arm-span, and each tooth unscrewed and held a small gift. The family reveled in the amount of time it took her to unscrew each tooth from its socket and discover the tiny prize. This is a classic (albeit elaborate) example of the spirit of Sinterklaas because the gift—and the poem—are meant to be intimate teasing. 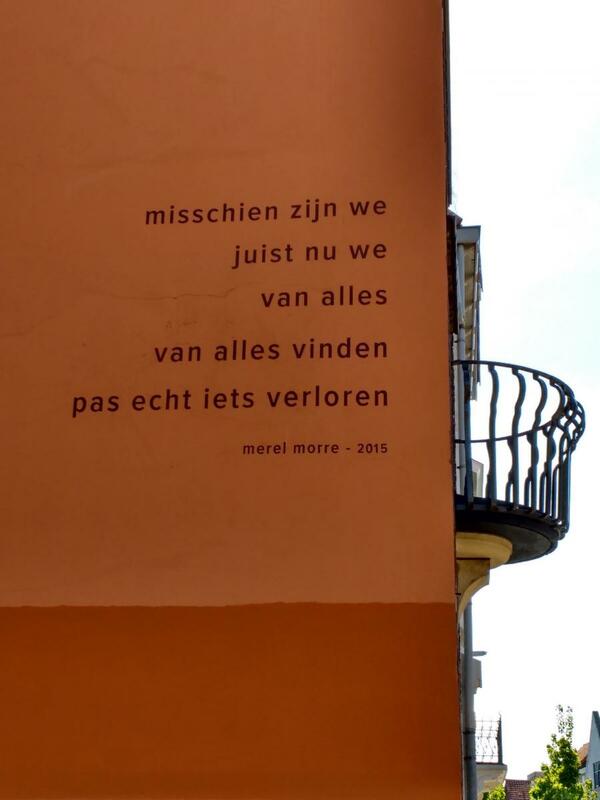 While the Dutch know about Sinterklaas poems, any visitor to the Netherlands is bound to run across street poems. Thanks to Kila van der Starre, the public no longer has to encounter these poems only by chance. In addition to her white paper, she has made her research publicly available in the form of a crowd-sourced index on a map of the Netherlands and Belgium. The site has collected upwards of 1,500 examples which include historical, temporary, and permanent installations. When I asked how her research has changed her, van der Starre said, “My research findings have given me even more reason to believe that poetry is very alive and that poems are being loved, shared, remixed and used in so many different ways by so many different people in so many different media. The image of poetry as a dead genre has become an even more absurd idea to me than it was before I started my PhD.” On a more personal note, she added “Because of doing research on poetry tattoos, the idea has really grown on me to get one myself, but I haven’t figured out which of my favorite pieces of poetry I want to carry with me forever. I think that’ll be something to decide on after my PhD defense.” It’s fitting that arguments for blending academic and general engagement with poetry would be made public. Van der Starre’s work is both a reflection of and a service to a society rich in poems. Laura Wetherington’s first book, A Map Predetermined and Chance (Fence Books), was selected by C.S. Giscombe for the National Poetry Series. She has a chapbook forthcoming from Bateau Press, chosen by Arielle Greenberg for the Keel Competition. She teaches in Sierra Nevada College’s low-residency MFA Program and co-edits textsound.org with Hannah Ensor. Follow her on Twitter and Instagram.